Wow. I like him, and his music, but seriously Gibson. LOL. Even I will admit this is a bit of a stretch. "Guns N’ Roses guitarist Slash has been named Global Brand Ambassador for Gibson, the company announced on Aug. 15. He is the first to receive the designation in the guitar maker’s 100-plus year history. As part of the new role, Slash will develop new products for the Gibson Custom, Gibson, and Epiphone lines. The musician has been aligned with the company for the last three decades." I think it's spot on. Corny, yes, but entirely accurate. At Starbucks, flipping the bird like a rockstar. Of course, his most famous work was done with a Gibson copy. Makes perfect sense. A bit of a stretch yes but I guess he'll do. It's one of the best things to ever happen to Gibson. Solution to a problem that doesn't exist. Anyone who knows who slash is knows he plays LP's on stage. Anyone who's buying an LP knows who slash is. I mean, I can't figure out a way to word a hypothetical where having slash as a global ambassador makes any sense, as far as advertising to sell guitars goes. Was he threatening to leave and Hank was like "No no no wait!!! What if I gave you a cabinet position?" *shrug* it's a Title. What's he really going to do? Invent a Les Paul? "Slash is currently on the Guns N’ Roses “Not in This Lifetime” tour, which has grossed $151.5 million during the first six months of 2017"
That's only like 6.5 million a week. They're practically Paupers, I hope they're eating enough. Poor guys. I thought people loved GnR. do you want this man taking the 3 am call ??? We know Axl gets pancakes. 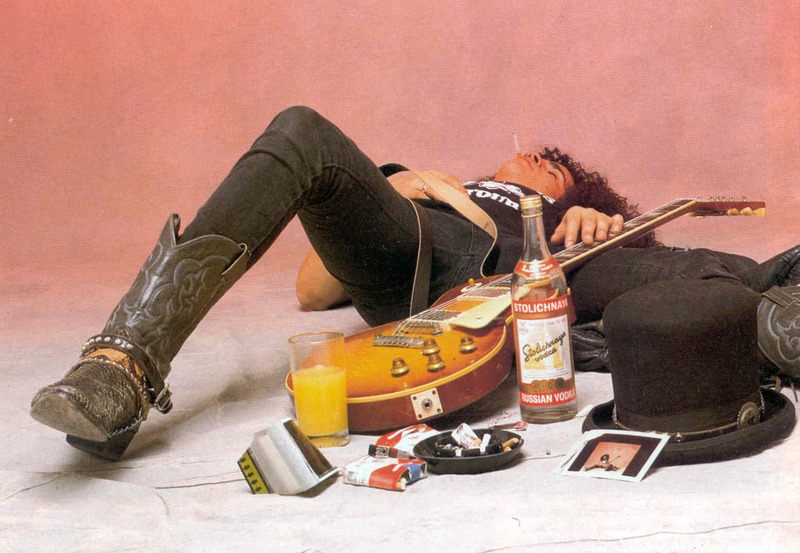 "As part of the new role, Slash will develop new products for the Gibson Custom, Gibson, and Epiphone lines"
was he a terrible guitarist? 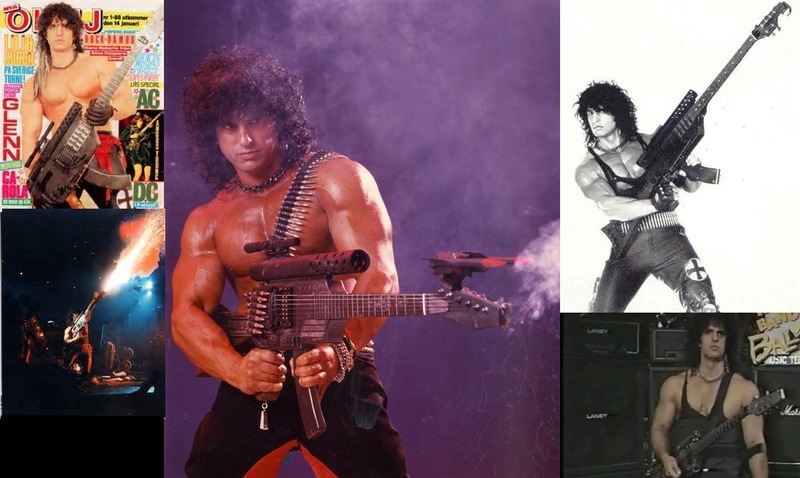 How come that Rambo looking mofo is basically an unknown guitarist? Now that I see the pic I'm like, "oh yeah! I remember that Rambo looking dude!" Slash and VW and First Act.